Creative industries in the United Kingdom fear they will not be able to retain or attract talent and skilled workers from the European Union if freedom of movement across the EU ends post-Brexit. The sector’s “creative and commercial success” – exports soared by 49 per cent between 2009 and 2014 – could be damaged, according to a new report presented to the secretary of state at the Department for Culture, Media and Sport, Karen Bradley late last week. The creative industries, which account for one in 11 jobs in the UK, is the fastest growing sector of the economy. It is worth £87.4 billion GVA (gross value added) according to Brexit Report: The impact of leaving the EU on the UK’s creative industries. Prepared by the Creative Industries Federation (CIF), and based on the contributions of almost 500 of its members, this report covers a wide spectrum of the industry including film, television, media companies, cultural institutions and software & games. The UK creative sector employs a large number of EU citizens who represent between 10-40 per cent of the creative industries sector’s workforce. These EU workers also help plug important skills gaps which, according to the report, stem from inadequate training compounded by an ever-greater need for talent in a growing sector – especially in highly specialised and technical fields such as animation, visual effects and video games. “European talent has supplemented our own in terms of supplying highly skilled talent to our creative companies”, the CIF said. And the UK’s competitive edge in the creative industries is a “consequence of being open and international” John Kampfner, CIF’s chief executive, noted. The European and UK Group chief executive of Havas, one of the largest international advertising and communications groups, Chris Hirst, said that “the UK is one of the world’s leading centres of commercial creativity because it is a welcome home to the world’s greatest creative talent, both the established and the new. “Foreign-born talent doesn’t deprive Brits of jobs, it makes British creative talent better and thus creates jobs,” he said. According to the Office of National Statistics (ONS), the sector has been a major source of growth in the three months to the end of September – as growth in the transport, storage and communications industries saw an increase of 2.2 per cent in the third quarter of 2016 – compared with 0.6 per cent in the second quarter. “This growth was primarily driven by the motion picture, video and TV programme production, sound recording and music publishing activities, and computer programming industries,” the ONS noted. 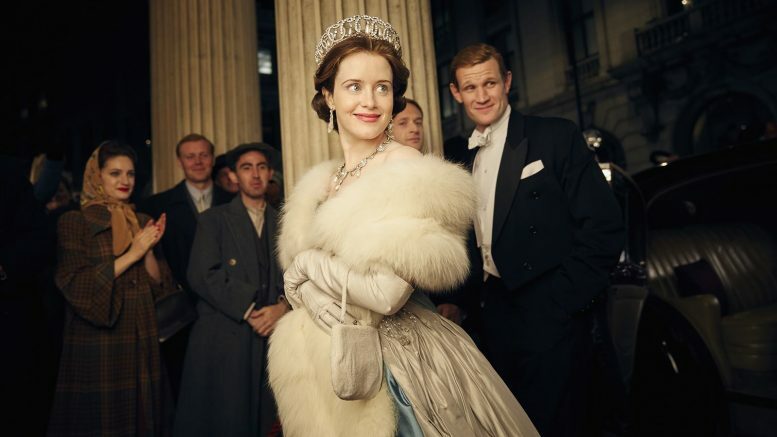 The boom in UK TV production is being fuelled by projects such as the newly released series The Crown, filmed in London, Scotland and at Elstree Studios – with a reported £100m budget. The CIF report also said, while it is “vital” to “cultivate our own talent”, the government should review its visa system post-Brexit and make it “fit for the 21st century” to attract the “best and brightest from around the world” from both EU and non-EU countries. It stressed the need to retain the EU nationals already employed in the UK creative industries, who should be allowed to remain in the country after Brexit. Tate Director Sir Nicholas Serota, who next year will become the new chairman of Arts Council England, said that the success of the Tate galleries had been partly driven by talent and workers at all levels from across the EU. “For us, this is an essential ingredient in creating one of the world’s great galleries,” he said.